I haven’t actually seen the book but I will because it looks very interesting. 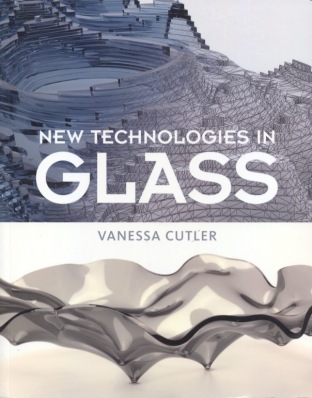 The Glass Quarterly Hot Sheet posted a story about this book, New Technologies in Glass by Vanessa Cutler. It’s to be released in August of this year. Vanessa was one of the presenters at BeCon last year up at Bullseye. She talked a lot about waterjet cutting of glass, which is her medium in glass. She talks of that as well as other technologies in her book. I’m looking forward to getting a copy when it’s released.